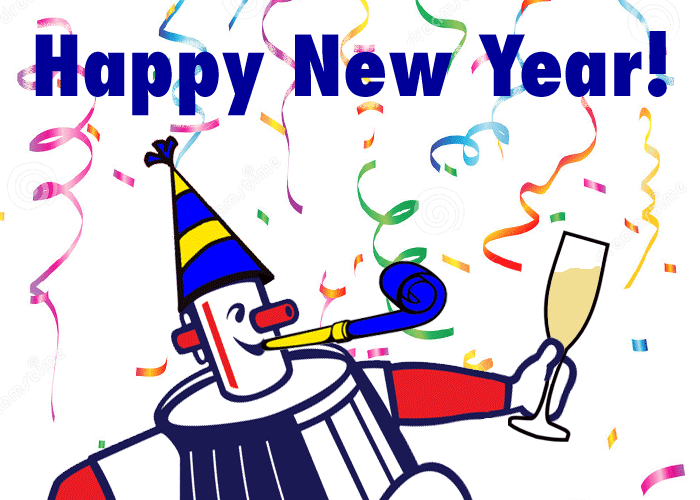 Happy New Year from Borchert Field! Thanks for joining us on a fantastic voyage through Milwaukee's baseball history this past year. We have lots of great things coming up in 2016, including the 80th Anniversary of the 1936 American Association pennant. See you then! Happy Holidays from Owgust and Borchert Field! Editor's note: in the holiday spirit, we are reprinting this article from December 2010. 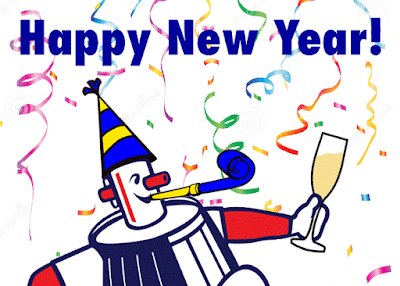 This wondefully festive graphic is Owgust, the original Beer Barrel Man, in one of his many guises. 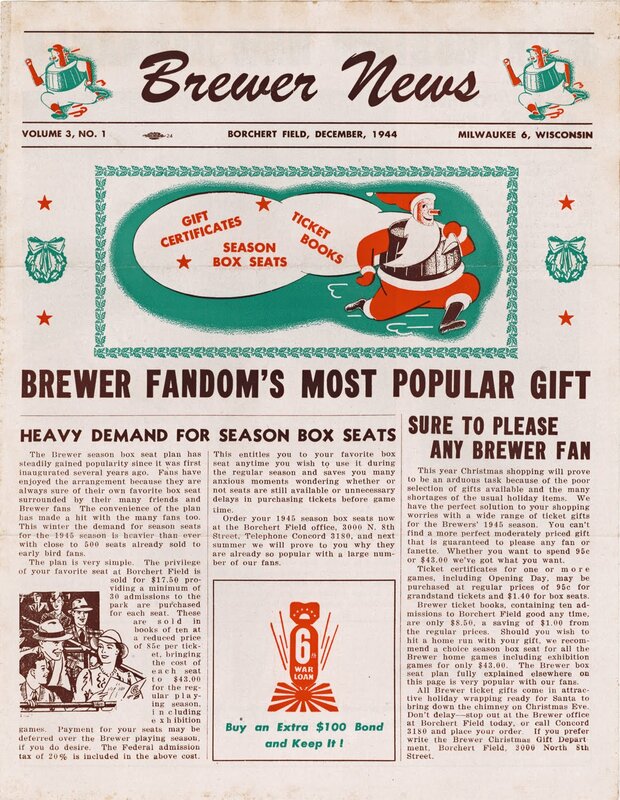 The scan comes from Brewer News, the club newsletter: Volume 3, Number 1, the December '44 issue. Brewer News was a four-page newsletter published throughout the season (and occasionally in the off-season) to keep fans appraised of the latest news and upcoming events. At this particular Christmastime, it was also used to sell season ticket packages for the upcoming 1945 campaign. This issue of Brewer News also reveals Borchert Field's street address - 3000 North 8th Street, and the team's telephone number - COncord 3180. The interior spread introduced the fans to Nick Cullop, the Brews' second new manager in as many years. Cullop was familiar to the Orchard's patrons from his regular visits as the Columbus manager in 1943 and 1944. In those two years, he led his Red Birds to a very respectable 170-134 record. The fans also surely remembered Cullop from the 1944 All-Star Game, played at Borchert Field. In those days, the format was Association All-Stars against the reigning champs, which happened to be the Brewers. Guided by Cullop, the All-Stars cruised to an 18-0 whalloping of the mighty hometown Brewers, their most embarrassing loss of an otherwise sterling championship season. 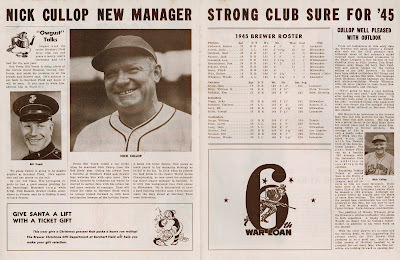 Cullup replaced Casey Stengel, whose single season in Milwaukee was marked by success on the field and constant conflicts with team administration off it. The interior spread also includes a preliminary roster for 1945 and a handsome headshot of Marine Private First Class (not to mention Brewer President and owner) Bill Veeck in his dress blues. Veeck was in the Corona Naval Hospital in California, recovering from wounds sustained in action. 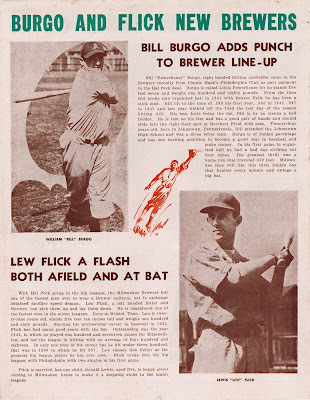 The back page introduced two new players to the Brews' upcoming lineup - Bill Burgo and Lew Flick. The men were acquired from the the Philadelphia A's as part of the deal for Brewer hero Hal Peck. 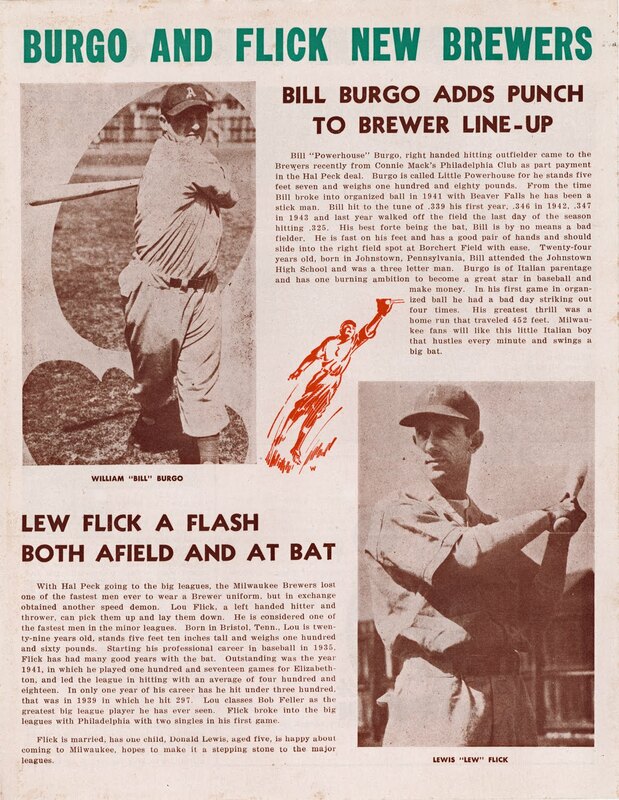 Neither would last long in Milwaukee - Burgo was sent down to the Little Rock Travelers during Spring Training of 1946, and Flick followed him to Arkansas in May, after playing the first 21 games of '46 in Brewer blue. 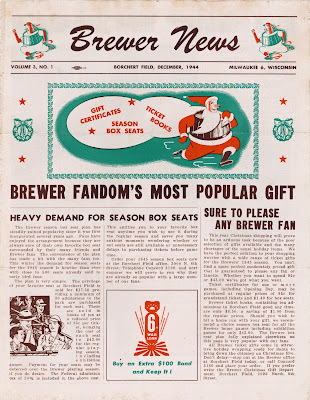 With the news of wheeling and dealing, a brief look backwards and a great gaze into the team's future, this issue of Brewer News sustained the Cream City hopeful during that 1944/45 Hot Stove league and beyond. "Owgust and the entire Borchert Field force wish you and yours a merry, merry Christmas and the best for the new year." The Milwaukee Brewers have a special holiday present for anyone who buys a 4-pack of tickets to see the Brew Crew at Miller Park next summer. Starting at just $60 and featuring tickets to four of the season's most popular games - including Free-Shirt Fridays, All-Fan Sundays and rivalry games against the Cubs, Cardinals and Twins - Brewers Holiday 4-Packs are more attractive than ever before! Choose from four outstanding set plans or build your own 4-Pack with the flexible Fan's Choice Plan. Plus, if you're giving this as a gift, you can even allow your recipient to pick their own games at a later date. As if that wasn't enough, every pair of 4-Packs also comes with a free Barrelman ornament! Hurry - Holiday 4-packs are only on sale through December 21. It's interesting that they chose to use the all-white version of the Barrelman from the team's 1970-1977 logo, rather than the re-colored one introduced as a stadium giveaway bobblehead in 2008 and then again as a costumed mascot earlier this year. I happen to prefer the updated version, and not only because the design was mine. I suppose this is good news in any case, that the mascot is a success, the logo still has resonance and we'll keep seeing more of them in 2016 and beyond. Brilliant. I have to get one. Darn it! And I had just made a (very large) hole in my tree's decorations for him! Fans will be able to choose from five great 4-Pack options, including the popular Weekend Plan. If shoppers order by Friday, December 18, their 4-Packs will be delivered in time for Christmas, ready to give to any Brewers fan on the shopping list. 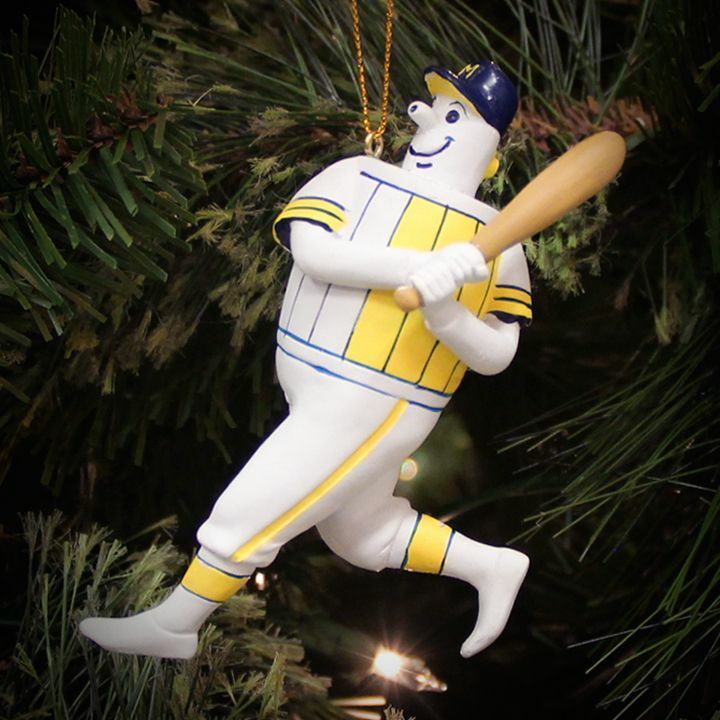 This holiday season, the Brewers are offering a free Barrelman ornament gift-with-purchase to fans with every pair of 4-Packs ordered. Brewers Holiday 4-Packs include many of the most anticipated games of the 2016 season. Three of the four set plans include at least one Giveaway date. The new Double-Bobble Plan guarantees fans a Vintage Bobble in a 1980s Uniform and a Jimmy Nelson Bobble. Back by popular demand, the Fan’s Choice Plan allows fans to select four games of their choice from an assortment of 38 games. The Fan’s Choice Plan makes the perfect gift this holiday season. Fans can gift the plan to that special someone and the recipient can pick out four games from a list of 38 possible dates that are most convenient for them. The plan offers several great matchups including the Thursday, June 9 contest against the National League champion New York Mets, multiple games against the division-rival St. Louis Cardinals and Chicago Cubs and Interleague contests against the Minnesota Twins and Los Angeles Angels. This plan also contains the Craig Counsell Bobble on Sunday, August 14. Standard shipping and handling fees apply. Advance parking packages are also available. To make a purchase, call (414) 902-HITS (4487) or visit Brewers.com/4packs. For information on all other ticket plans, call (414) 902-4090. The schedule for the 2016 Holiday 4-Packs is listed below. Wednesday, May 4 Los Angeles Angels (I) 12:40 p.m.
Thursday, June 30 Los Angeles Dodgers 1:10 p.m.
Thursday, July 28 Arizona Diamondbacks 1:10 p.m.
Thursday, August 11 Atlanta Braves 1:10 p.m.
Friday, April 8 Houston Astros (I) 7:10 p.m.
Saturday, May 14 San Diego 6:10 p.m.
Sunday, July 24 Chicago Cubs 1:10 p.m.
Saturday, August 27 Pittsburgh Pirates 6:10 p.m.
Wednesday, May 18 Chicago Cubs 7:10 p.m.
Saturday, August 13 Cincinnati Reds 6:10 p.m.
On this day in 1944, minor league baseball's annual winter meeting was wrapping up in Buffalo, New York. 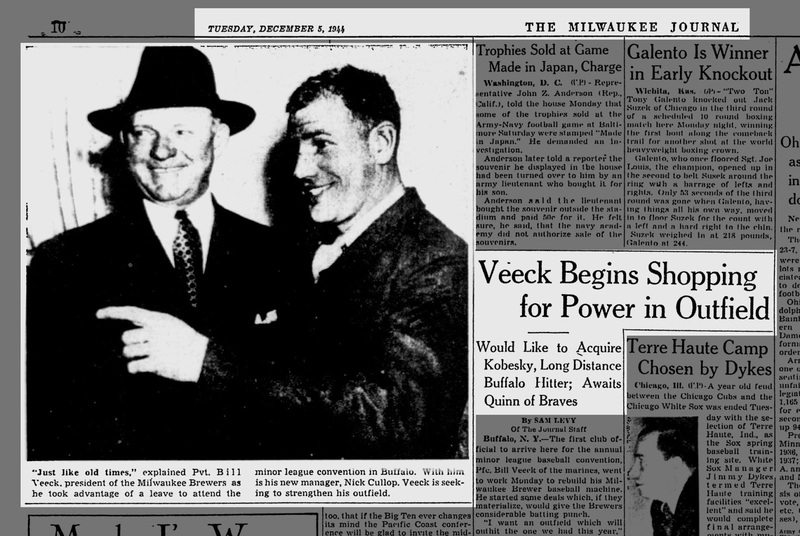 And the Brewers' president Bill Veeck was there with Nick Cullop, his new manager. "Just like old times," explained Pvt. Bill Veeck, president of the Milwaukee Brewers as he took advantage of a leave to attend the minor league convention in Buffalo. With him is his new manager, Nick Cullop. Veeck is seeking to strengthen his outfield. As the caption notes, Veeck was on a 30-day leave from the Marine Corps, after being severely wounded in action in the South Pacific. He had been released from the naval hospital in Corona, California just a few days before. From his hospital bed, Cullop had just weeks before been hired away from Columbus. He had been the Red Birds' skipper when they clobbered the Brews 18-0 in the 1944 All-Star Game, and Veeck had long admired the way he handled his players. "I've never seen a guy do business like Veeck. I'm not used to seeing a club president spend money so freely. I heard a lot about him while I managed at Columbus, but man, you have to be around Veeck to believe what you've heard and read about him. He's a big leaguer in the double-A circuit." This is particularly impressive considering how much trouble he was having even walking. The wounds in his leg had not yet healed, and in fact Veeck would return to Corona on New Year's Eve for further treatment. Veeck next traveled to New York City for the Major League Winter Meetings beginning on December 12 to see and be seen. Writing about him in the New York Times, Arthur Dailey described Veeck as easily the "most striking" figure at the gathering. "Young Bill leaned on his cane, his face lined and drawn, but the usual cheery smile on his lips. Veeck joked that due to a pay glitch, he had only received $40 from the Marines so far, so he took the money and blew it at Toots Shor's. Veeck was indeed able to secure some help for his outfield, laying the foundation for the deal that would eventually send the Buffalo Bisons' power slugger Ed "Shovels" Kobesky to Borchert Field. That deal is a story in itself, a story for another time.